Footy fun? Bring it, bro ... From the UK's number 1 football magazine, the very best footy annual is back! Crammed full with fun football trivia, quizzes, games, puzzles, top 10s, cartoons and more, this is the only annual fans of the beautiful game will need. This year's annual will also include a section covering the key moments, best goals and much more from the FIFA World Cup. 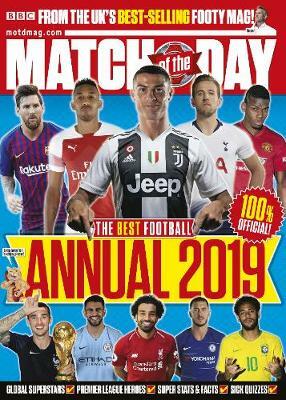 Featuring Gary and all of the MOTD presenters, Paz, Ketch, and the planet's top teams and players, Match of the Day Annual 2019 is the best around - it will be on the top of your Christmas list!